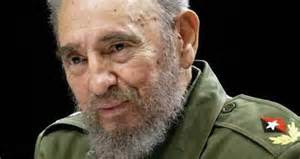 News today of the passing away of former Cuban Marxist revolutionary and President Fidel Castro. Fidel rose to power through the vehicle of a popular insurgency which overthrew the corrupt US-backed Batista government. Turning to the USSR for support, Castro survived arguably hundreds of assassination attempts, the Cuban Missile Crisis, the Bay of Pigs invasion, and more. He built a one-party state – albeit one based on overwhelming popular mobilisation and participation. Arguably his government was authoritarian: though this must be largely understood in the context of terror attacks, and the aforementioned assassination attempts. Much like Western intervention in Revolutionary Russia drove Lenin to embrace a spiralling Red Terror (which ultimately descended into Stalinism), Castro embraced authoritarian measures to ward away his adversaries. Though certainly he was never a monster like Stalin. For decades Cubans flourished in the context of a system which prioritised Health Care for all, reducing infant mortality, eliminating illiteracy, and reaching out to Cuba’s neighbours through the vehicle of volunteer doctors and teachers. Indeed, on many indicators (eg: infant mortality) Fidel’s Cuba out-performed his neighbours, including the United States itself. Castro was one of the earliest and most consistent opponents of Apartheid in South Africa. He actively supported revolutionary movements in Central and South America, including in Nicaragua and El Salvador. The brutality with which those movements were repressed – with US support – stands in stark contrast with many Western nations condemnation of Fidel’s government as ‘totalitarian’. Repression of left-wing movements, including the murder of Liberation Theologian Archbishop Oscar Romero ; saw the deaths of hundreds of thousands. But when Communism collapsed in the USSR and Eastern Europe in 1989-1991 Cuba was left exposed to the long-term US Economic Embargo. Living standards fell on many indicators. But still Cubans overwhelmingly supported their government. Fidel lived to see the Cuban economy recover ; and to see his brother, Raul engage in ‘fence-mending’ with the government of Barack Obama. Under Raul there were market reforms – which were essential to Cuba’s survival, including its engagement with the rest of the world ; But Cuba’s identity and orientation remained inarguably socialist. For instance Cuba remained implacably in solidarity with the Leftist/Bolivarian governments of Venezuela. All this aside, the threat of Terror and assassination do not fully explain or fully excuse repression in Cuba. There have been extrajudicial executions ; Imprisonment of political prisoners, systemic harassment of critics. Cuba’s government may have overwhelming popular support: but as Rosa Luxemburg effectively argued in contrast to Lenin and Trotsky: human rights and democracy must always also be rights for those who dare to think and speak differently. It is easy to romanticise Fidel’s reign given his enormous personal charisma. But on the Left we must keep in mind the shortcomings, also. And strive to do better. Nonetheless for many of us on the Left this is a sad day. Fidel achieved so much in his leadership of socialist Cuba. And socialist Cuba’s survival in the post-Cold War world is remarkable. Fidel deserves to be remembered for the sum of his achievements and of his legacy. Some of that is questionable ; but much of it is laudable. When we remember him let it be in applying those same standards to our own governments ; and the governments of our historic allies.